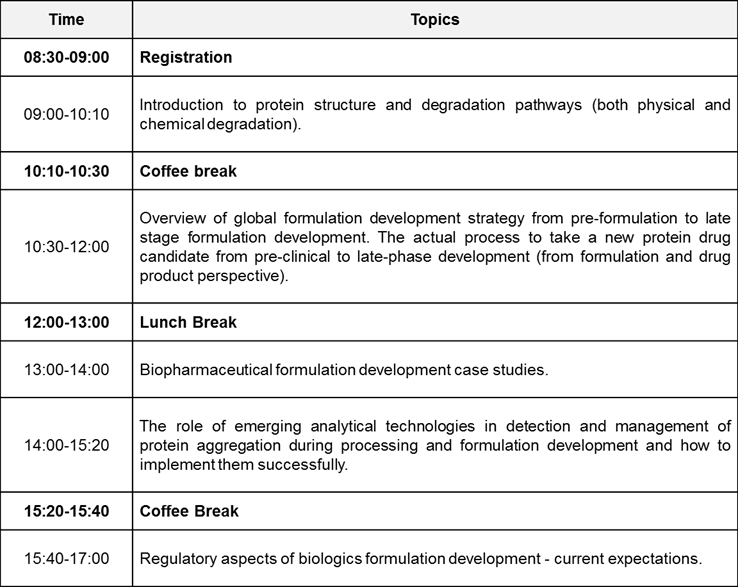 This course addresses those challenges, focusing on mechanisms of protein degradation, global strategy for biopharmaceutical development for both IV and SC dosage forms, and how to navigate the entire process from pre-formulation to late stage formulation development. There will be real case studies on how to detect and manage protein aggregation during process and formulation development as well as proper integration of formulation and delivery device. 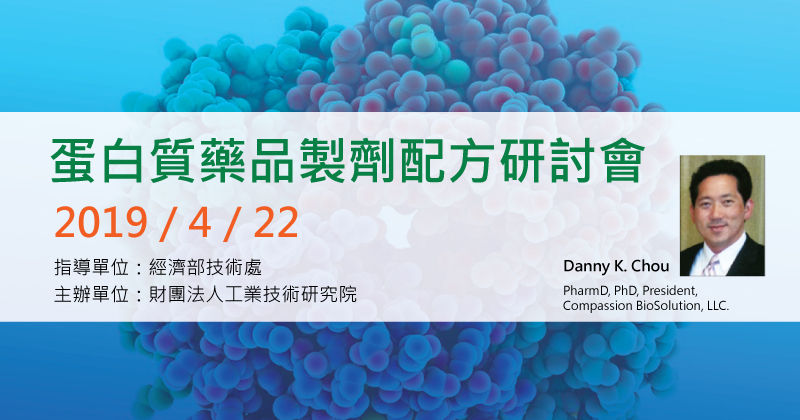 Finally, the last part of this course will be devoted to regulatory aspect of biopharmaceutical product development, including how to implement Quality by Design (QbD) during formulation development and current expectations for analysis of critical quality attributes like protein aggregates and subvisible particles. Dr. Danny K. Chou is a biopharmaceutical industry veteran with expertise in biopharmaceutical characterization, formulation development, and emerging technologies for protein aggregate/subvisible particle analysis. Currently, Dr. Chou is the Founder and President of Compassion BioSolution, a biopharmaceutical consultancy and Contract Development Service provider that serves clients throughout the world. Dr. Chou has over 20 years of experience in the pharmaceutical industry, both as a pharmacist and pharmaceutical scientist. Over the past 15 years he has led the development of formulations for numerous therapeutic modalities ranging from peptides, growth factors, mAbs, ADCs, and bispecific antibodies. Prior to starting Compassion BioSolution, Dr. Chou was a Senior Scientist and Group Leader at Gilead Sciences, where he successfully converted IV formulations of monoclonal antibodies to high concentration formulations that are more stable and can be easily administered by subcutaneous injection. Prior to this, Danny was employed by Genzyme and Amgen, where he played critical roles in drug product process development, manufacturing technical support, and pharmaceutical development. Since founding Compassion BioSolution, Danny has developed stable pharmaceutical dosage form for clients ranging from small start-up biopharmaceutical companies to Fortune 500 pharmaceutical companies. Danny received his PhD from the University of Colorado Center for Pharmaceutical Biotechnology under a NIH Fellowship and his PharmD and MBA from the University of Florida.